108 full-color oversized cards, counters, rulesheet, and dice. 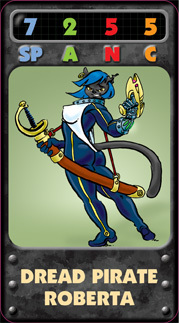 Lovingly illustrated by Phil Foglio, SPANC is a fast-paced card game of space pirates, amazons, ninja, and catgirls. All at once. 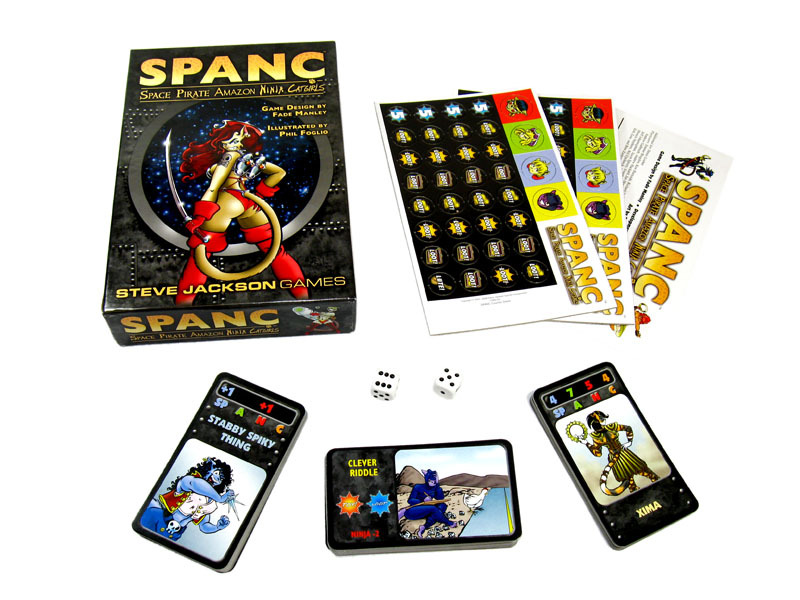 Discuss SPANC in the Steve Jackson Games Forums. 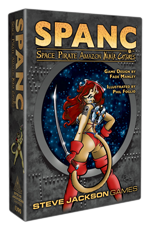 Check out what RPGnet is saying about SPANC. 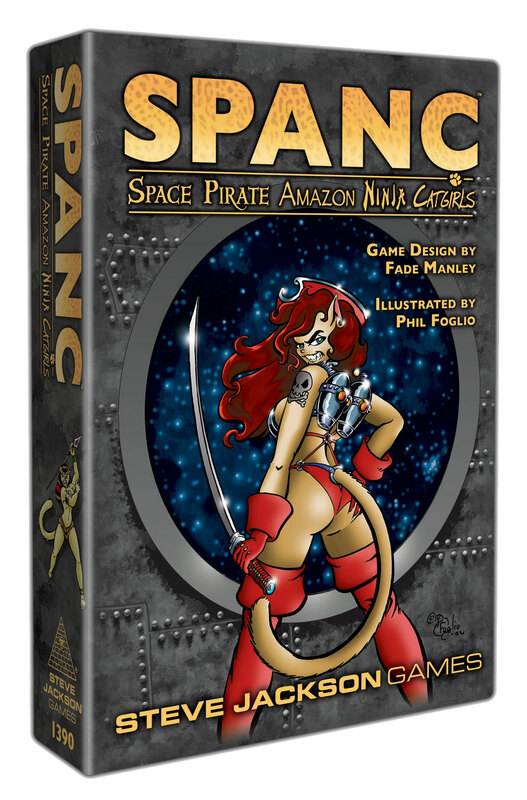 Brad Hicks picked up SPANC, and wrote of it in his Livejournal. The Munchkin Level Counter includes a SPANC counter!